I am always interested in trying out new skincare products, my skin always been problematic, so I believe I am the right person to test the products, because I can see if they help or not. 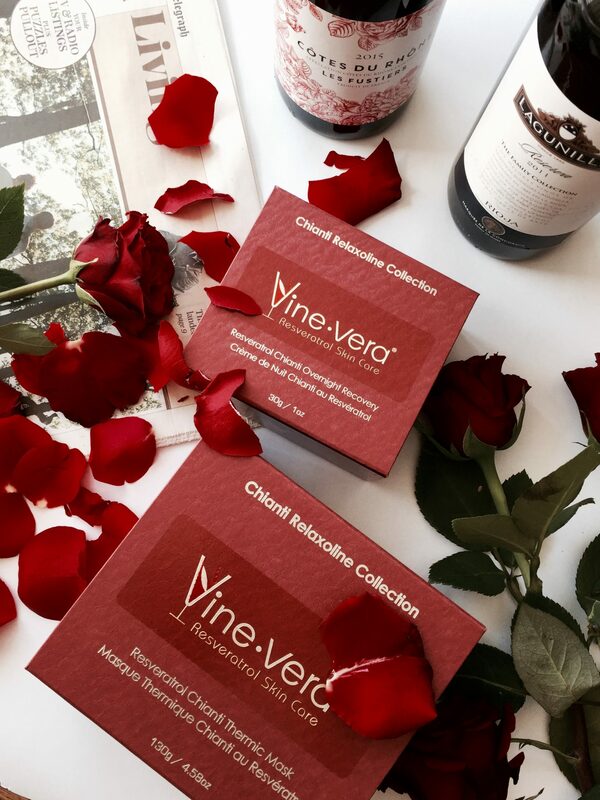 In this case, I was really intrigued to try Vine Vera products because they all are based on… wine! 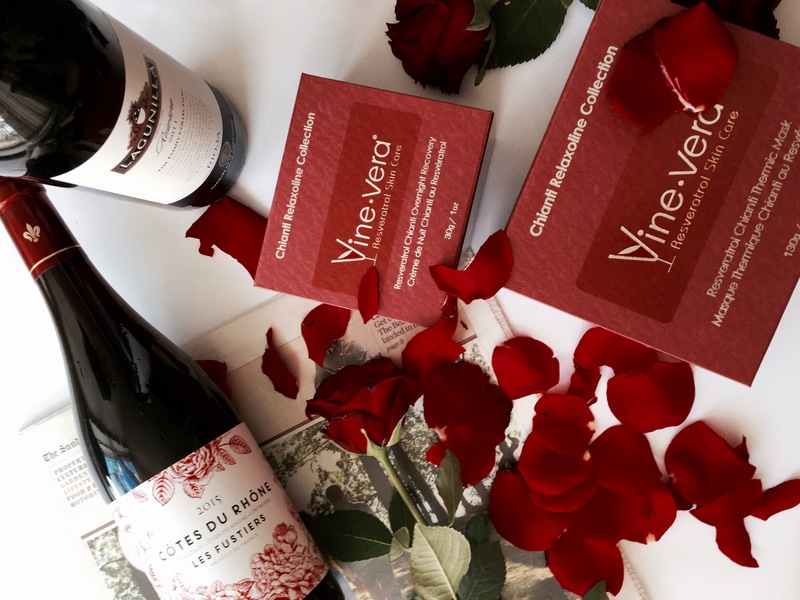 All of their products contain the ingredient called Resveratrol, it’s a naturally occurring compound that is found in the skin of red grapes and other plants. This phytoalexin is produced when plants are under stress due to UV radiation, drought or fungal attacks, and it is known to help them maintain their health and fight stress. 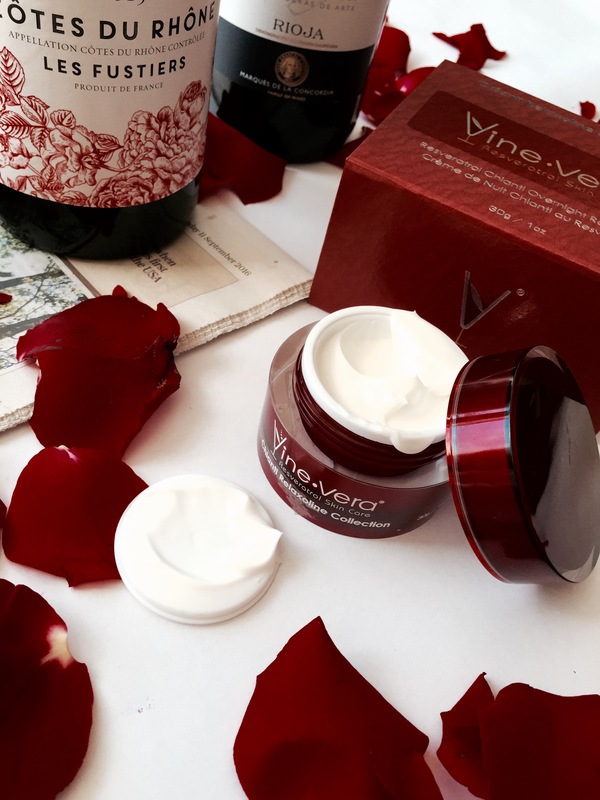 Experts discovered that the ingredient could offer similar benefits to our skin, and studies later proved that resveratrol could actually help humans further their beauty efforts. I made a research and found many mixed reviews on this brand, however, it seemed like the majority of the negative reviews were related to their sales policy, as they often use direct marketing to sell their products. Luckily, I never had to go to the shop, so my review will be only about the products itself. I had requested to try Resveratrol Chianti Thermic Mask and Resveratrol Chianti Overnight Recovery and as you can see from their website, the retail price for both of these products is almost £1000. I never tried such an expensive skincare line before, so to say the least, I expected these products to be my magic bullet for all of the problems in my life. The first product I decided to try has been Overnight Recovery. 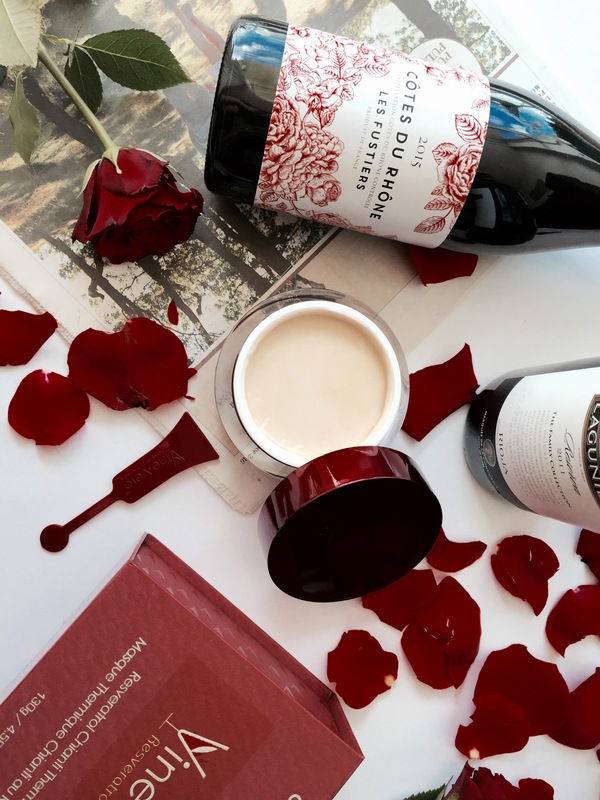 The cream almost doesn’t have any scent and the texture is really soft. It absorbs super quickly, however you only need a small amount to be able to cover your whole face, so even though jar is not really big, the product will last you good 3-4 months, if it’s constantly used. The results have been absolutely astonishing when I looked at myself in the mirror after I woke up, I have noticed that my pores became 40% smaller and less visible and the whole complexion was glowing. It was literally the fastest result I ever saw from the overnight cream. I was afraid that my skin will get used to the cream and after a couple of weeks there won’t be any effects anymore, but after a month of using it, every morning I see the same effect. I always loved masks with an immediate warming effect, they give me a true SPA feeling in the comfort of my own bath. At the moment, I already used this mask for 4 or 5 times, I haven’t noticed any immediate effects compared to their overnight cream, but I definitely can say that it wakes my skin and makes it look more radiant and healthy. This is my experience of using Vine Vera products, have you ever tried anything from their skincare range? Let me know in the comments below!